FREE ICE WATER is an ongoing, interactive, participatory art project by interdisciplinary media artist, John D. Freyer. In the still-emergent tradition of relational aesthetics, FREE ICE WATER puts human relationships and their social contexts at its center. Using a Ball Perfect Mason Jar, “free ice water,” and other ephemera to construct symbolic objects, the project acts as a catalyst for intimate dialogue on the subjects of addiction, mental health issues, trauma, and recovery in our late-capitalist, digitally networked world(s). FREE ICE WATER comes from a place of compassion and vulnerability, representing one artist’s effort to ease the shame of addiction for himself and others. It emerged during a pre-sober nadir one hot summer when Freyer was prompted to provide free ice water for all of the homeless addicts near his studio in downtown Richmond, Virginia. The project transfigures this personal and social act into a process of experiential art-making in which sharing ice water acts as an agent of connection and conversation around difficult subjects, like substance abuse. In its first iteration, the artist and invited participants met for a one-on-one conversation over a jar of ice cold water. The topic of conversation varied, but Freyer mostly engagedin discussions around addiction – its origins as an individual, social and political condition; its impacts; and its manifestations, literal and metaphoric. 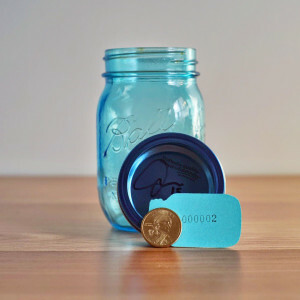 At the conclusion of the conversation, the artist and participant share an aquamarine blue Ball brand Perfect Mason jar of ice water, add a token of the conversation to the jar (most commonly a Sacagawea dollar coin), and sign and seal the lid. As the project expands and evolves with the artist sending out FREE ICE WATER DIY kits to participants across the country, participants are free to shift the conversation to hardships and struggles that may have acted as a pivot point, fork in the road, or change opportunity, prompting radical changes in how these individuals lead their lives. The Ball Perfect Mason Jar, however, remains at the heart of FREE ICE WATER. The project transforms this beautifully crafted yet mass produced, humble, anachronistic object into a vessel for conversation, a 21st century totem that is fragile yet lasting. The participant has to decide what the Perfect Mason jar is after it has been vested with the energies of human emotion and interaction through the exchange of the participants. Is it an art object? Is it a curio? Whatever the perspective on the finished piece, the Mason Jar remains in the care of the participant, while the artist’s role is to continue to engaging audiences in conversations around difficult personal and societal topics using FREE ICE WATER as a vehicle. But, to what end, one may ask? As critic Claire Bishop challenges, “If relational art produces human relations, then the next logical question to ask is what types of relations are being produced, for whom and why?” As a project rooted in the discourse of relational aesthetics , FREE ICE WATER continues Freyer’s exploration of the role of everyday, personal objects in our lives – as commodities, fetishes, totems and touchstones, and examination of systems of exchange – particularly how the circulation of objects and stories enriches social ties between individuals and groups. While simple in its execution, the project taps into a collective desire for connection in an era of increasing individual atomization, and produces inquiring, intimate, healing conversations for the artist and participants around painful, difficult, and confronting subjects.